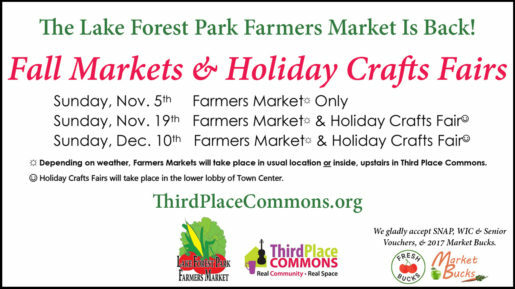 Join us this coming Sunday, Nov. 5th from 10 AM to 3 PM for the first of our three Lake Forest Park Special Fall Farmers Markets! Don’t miss your chance to head back to the market for organic and fresh goodies from many of your favorite farmers plus delicious treats from local producers of all kinds. 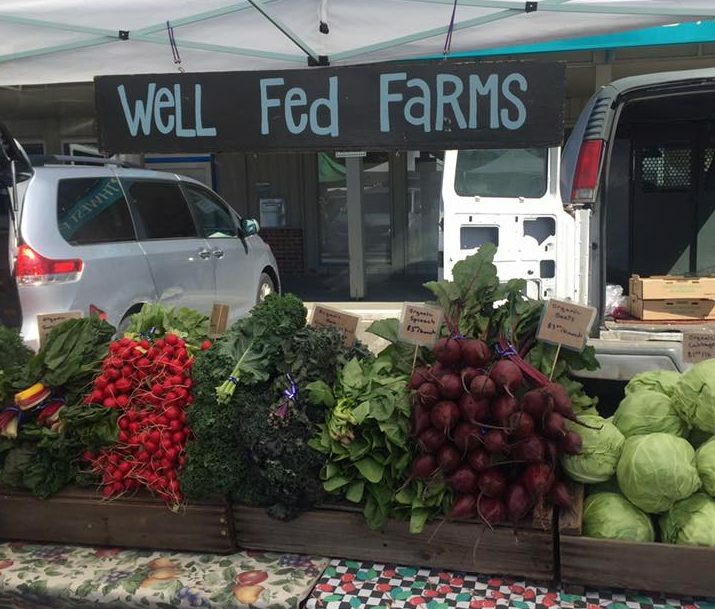 Whether you’re in the market for organic fruits and veggies, craving fresh meat and eggs, or stocking up on yummy Washington delicacies and specialty foods, the LFP Farmers Market has got you covered. We’ll also be pleased to welcome the good folks from our mall owners, Merlone Geier Partners, as our Day Sponsors for the market, and they look forward to hearing your thoughts about Town Center. I f you’ve still got 2017 Market Bucks that you received from one of our community partners, you can still use them at each of these special farmers markets. And of course, we’re always happy to accept your WIC & Senior Vouchers and to match your SNAP benefits with extra Fresh Bucks to use on fresh fruits and veggies. Also remember to mark your calendar for the upcoming farmers market/Holiday Crafts Fairs combo events on Nov. 19th and Dec. 10th. See you at the market! Next Post: No More Limit on Fresh Bucks Match at the LFP Farmers Market!